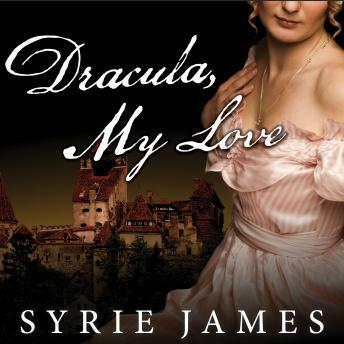 Syrie James approaches Bram Stoker's classic Dracula with a breathtaking new perspective-as, for the first time, Mina Harker records the shocking story of her scandalous seduction and sexual rebirth. Mina Harker is torn between two men. Struggling to hang on to the deep, pure love she's found within her marriage to her husband, Jonathan, she is inexorably drawn into a secret, passionate affair with a charismatic but dangerous lover. This haunted and haunting creature has awakened feelings and desires within her that she has never before known, remaking her as a woman. Although everyone she knows fears him and is pledged to destroy him, Mina sees a side to him that the others cannot: a tender, romantic side; a man who's taken full advantage of his gift of immortality to expand his mind and talents; a man who is deeply in love and who may not be so guilty of evil after all. Yet to surrender is surely madness, for to be with him could end her life. It may cost Mina all she holds dear, but to make her choice she must learn everything she can about the remarkable origins and sensuous powers of this man, this exquisite monster, this...Dracula!